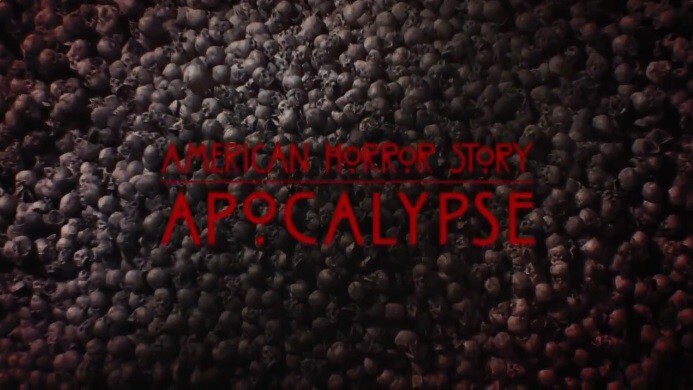 FX's hit series American Horror Story has had fans on the edges of their seats for seven seasons, and a highly anticipated eighth season was just released: American Horror Story: Apocalypse. The first episode, which aired on Wednesday, is ironically called "The End." There have been extremely mixed feelings about the new season amongst fans, critics and press. Collider, an internet news source for new movies and television shows, wrote an article that refers to the new season as a "mixed bag of meh." The idea behind the season is that a nuclear apocalypse desolates the planet. Two young adults are preselected to be saved and are subsequently taken to an underground safe place called "Outpost" that seems more like a prison, at least from this first episode. Along with the two youngsters in the safety lair are a select few of the world's most wealthy people. Some are brats and some are down-to-Earth, but now they're in the same boat — the world has been destroyed and they're forbidden to leave this strange place. At one point, they're fed the human meat of one man who had been there but tried to run away and, due to the nuclear apocalypse, was radioactively contaminated. This new series is off to a strange start and, as perviously mentioned, American Horror Story fans are having mixed reactions to the first episode. It is doubtful, though, that those feelings stop them from watching the second episode, which airs next Wednesday, Sept. 19th.